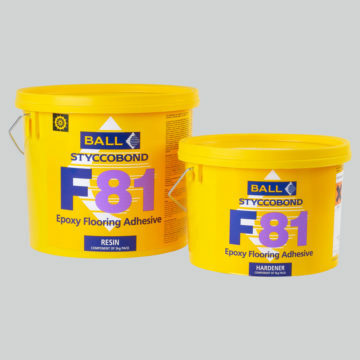 A solvent free, two part epoxy adhesive. When cured it is resistant to water, oil and grease. Suitable for use over normal underfloor heating installations. When fully cured, the water resistance makes it ideal for indoor and outdoor installations subjected to surface water.